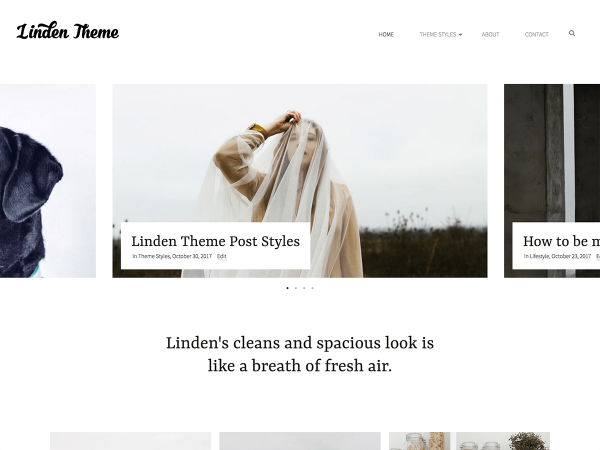 Give your site a classic and elegant look with Linden's clean and minimal design. Highlight your top posts, pages or portfolio item with the featured slider. Easily customize your fonts with the built-in Customizer feature which lets you choose from hundreds of free Googles fonts. The homepage is designed to show your latest posts or use the custom template to set your front page as your portfolio. With Linden's many easy-to-use features, you'll have a professional looking site highlighting your best content in minutes.